The CMU team will be in attendance at Wide Days – Scotland’s music convention – next week, participating in four sessions. CMU’s Chris Cooke will moderate a session on the future of music publishing, also providing a sneak preview of some of the findings of the latest phase of the MMF’s Digital Dollar project, which puts the spotlight on song royalties. Meanwhile, CMU’s Sam Taylor will moderate a panel focused on all things AI and blockchain. 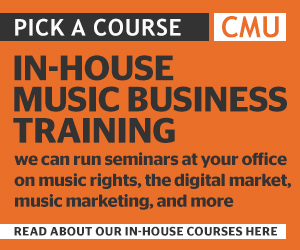 Elsewhere, CMU’s education programme CMU:DIY will present two practical sessions for early-career artists and those at the start of their music careers, providing a guide to building fanbase and ensuring that artists and songwriters get every penny they are due to be paid. All the CMU sessions take place as part of the main Friday conference. 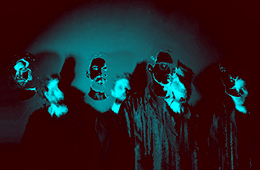 In addition to that packed conference programme, there will also be a coach tour of Edinburgh and a welcome party on the Thursday, the Wide Days showcases on Friday evening and – on Saturday – more delegate networking and the all-new Festival Takeover, where the teams behind Scottish festivals Electric Fields, Kelburn Garden Party and Tenement Trail each present a selection of acts. On top of all that, Wide Days has just confirmed that it will also host a mini-summit of music industry figures from across the European Union. Reps from festivals and export offices in nine countries will get together with plans to “lay the foundation for artists exchanges and creative collaborations”. Says Wide Days boss Olaf Furniss: “Since its launch in 2010, Wide Days has built strong ties across Europe and we want to make sure these are maintained and developed further. This year we are launching the Festival Takeover which will see three great Scottish summer events – Tenement Trail, Electric Fields and Kelburn Garden Party – each programme a stage. At the summit we will be discussing the possibility of inviting international festivals to do this at future Wide Days events”. For more info about all things Wide Days – and to buy a delegate pass – click here.